Does tonoy85 belong in this group? in search of spiritual guidance Anyone willing to chat? Does camb belong in this group? 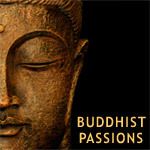 Buddhist - Need Deeper Involvement in Buddhism I have considered myself to be a Buddhist for the past 20 years, working hard at following the Path & in my meditation practice. I am tired of half stepping & wish to follow through all the way. I need guidance & support from the Buddhist community, further more I am interested in living/studying/practicing in a monastery possibly to become a monk. Does henripersonel belong in this group? Looking for a young and romantic young lady Being an expert in Asian art and culture, I am much interested by Asian religions with an Indian origin (vedism, upanisad, hinduism, buddhism, ...). I'd be very happy to meet a lady who has similar interests. Does skambha belong in this group? Does profdash belong in this group?